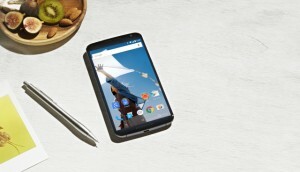 Motorola’s Nexus 6 smartphone will soon arrive on Canadian carrier Wind Mobile according to its website. The smartphone is also available from fellow Canadian carriers, so its arrival on Wind Mobile is not really a surprise. Out of the box, the smartphone will only work on Wind Mobile’s 3G networks. But you can access LTE networks on the device by adding another SIM card, since Wind Mobile’s LTE networks are not quite ready yet. The carrier hasn’t given out pricing related information, but we don’t think it will be too different from the Play Store. The Nexus 6 is one of the best large sized Android handsets you can get today along with the Samsung Galaxy Note 4. The fact that it will be supported with frequent Android updates in the future makes it an instant choice if you’re in the market for a flagship device. The handset will only be available in Midnight Blue from the carrier with no word on the Cloud White version just yet. Previous Post« Previous LG G4 rumor roundup and preview – the next big thing or next best thing?